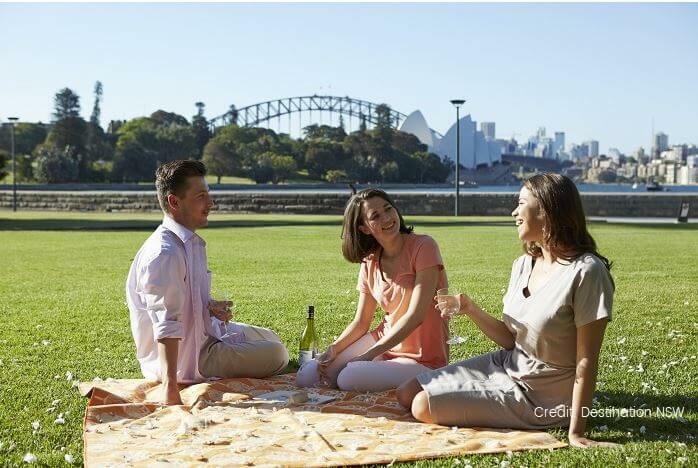 Make your way around on a Sydney Tour with Cruise and soak up the vibrant culture and laidback lifestyle as you go on. 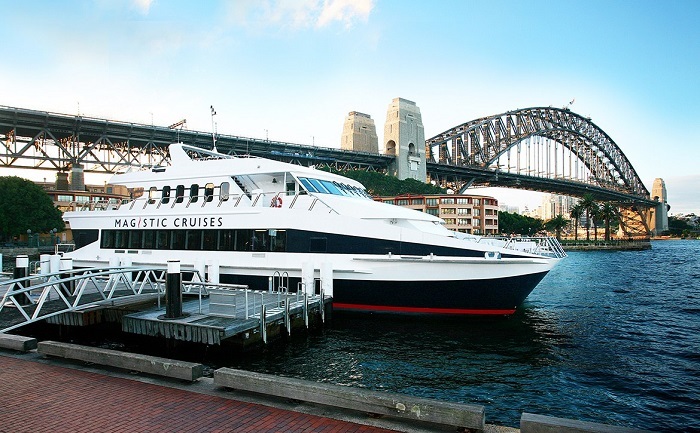 As well as hitting up all the famous attractions and popular hotspots, you’ll get to have lunch on a majestic cruise as you explore Sydney from a different perspective. To start the day, we’ll venture to The Rocks, which is thought to be the birthplace of Sydney, before checking out the unique architecture of the famous Sydney Opera House. We’ll also take you to some of the city’s most historic and cultural spots, like the Conservatorium of Music, Hyde Park, St Mary’s Cathedral, and the impressive Parliament House. 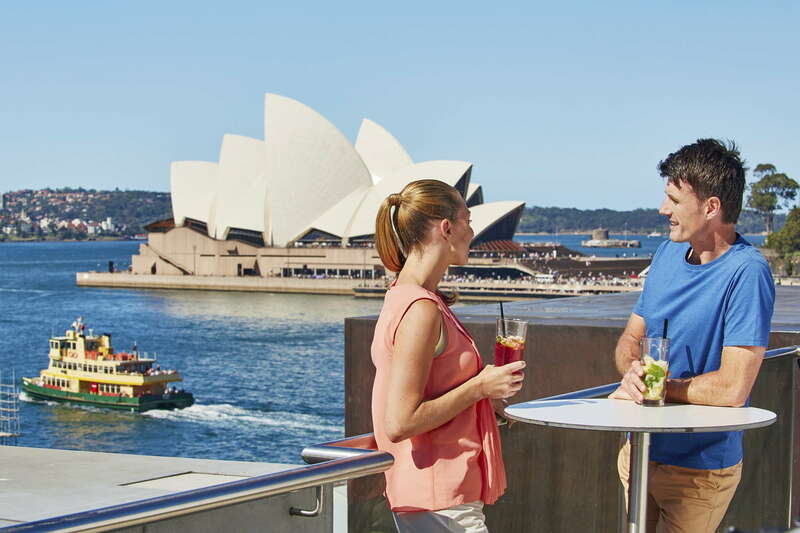 From there, we’ll show you some of Sydney’s eclectic culture, taking you to the Art Gallery of New South Wales, the Royal Botanical Gardens and Sydney Tower. 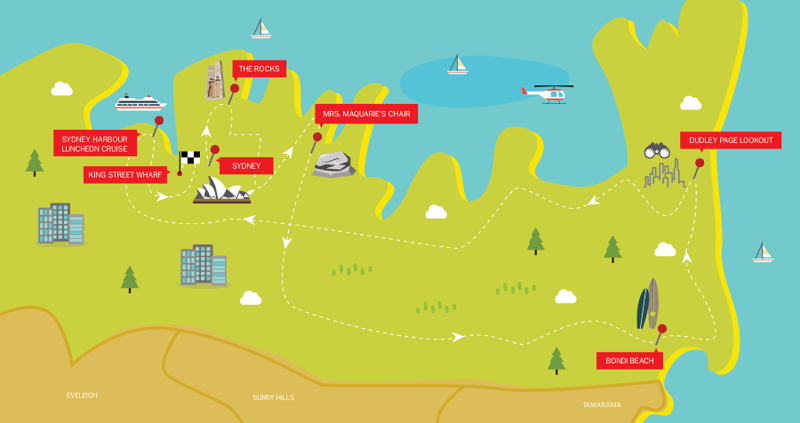 You can explore the lush harbourside, too, at Darling Harbour, before we make a pitstop at Mrs. Macquarie’s Chair to enjoy the city from above. 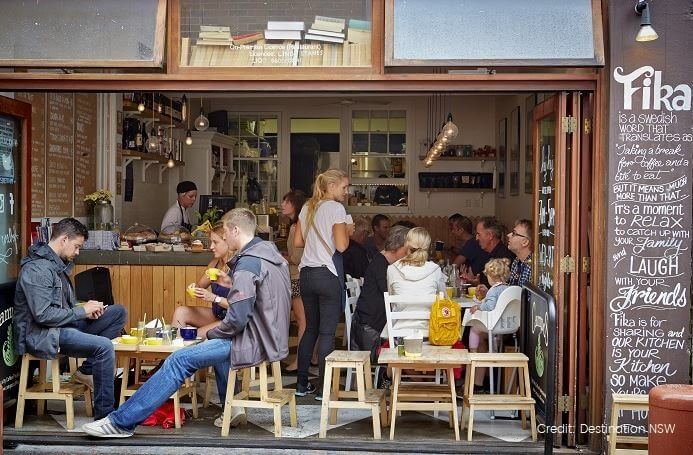 There will be plenty of time to wander through the vibrant districts as well, where you can explore the affluent homes of the eastern suburbs, the trendy charm of Paddington, and the bustling streets of Chinatown. 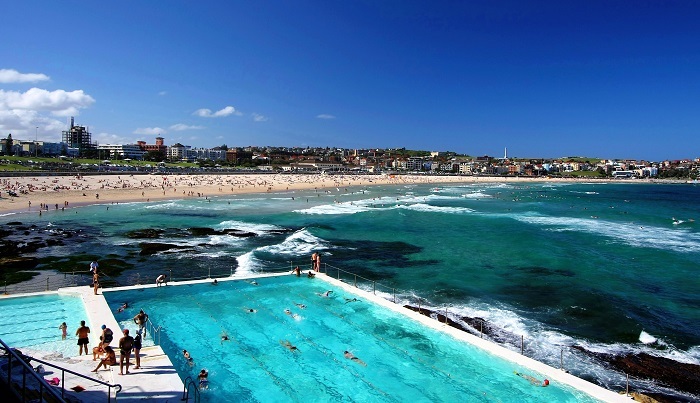 No trip to Sydney is complete without a visit to Bondi Beach, where you can watch the surfers, dip your toes in the cool water, and enjoy a relaxing cup of tea in one of the many cafes. At the end of the tour, you’ll board a boat to enjoy lunch on. Whilst aboard, you will glide past the city’s fascinating architecture while tucking into a delicious spread of local meats, cheeses, fruits, and breads.